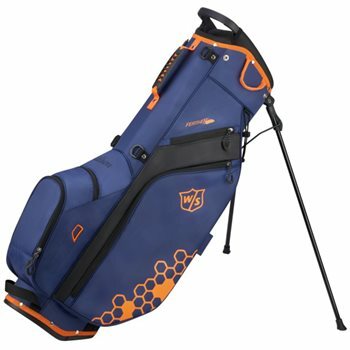 The Wilson Feather carry bags were crafted to deliver everything you need in a functional golf bag, while also being incredibly lightweight and easy to use. Featuring the 2-in-1 self-balancing strap system with a four-point double strap. Wilson Feather Carry stand bag. Dual strap is not shown. Can this strap be adjusted or switched around for left shoulder carry? Need to know asap.